The baby boomer generation is continuing to reach the age of senior citizens in large numbers, and more of these senior citizens are choosing to age in their homes instead of leaving for a nursing home or care facility. However, senior citizens still need some assistance in their homes to live comfortably which has led to a rise in home health care services. Advanced home care services are ideal for seniors who want to age in place, but need assistance with personal care or basic housekeeping. Assisting Hands provides in-home health care services in Des Plaines, IL for senior citizens and adults with disabilities who want to remain in their own homes. Our trained and trusted caregivers can provide quality personal care services that include social companionship, and help out with certain activities like housekeeping and running errands. Each of our caregivers at Assisting Hands Home Care goes through extensive screening and background checks before they are hired. We want to provide you and your loved ones with trusted caregivers that will provide excellent care and social companionship. 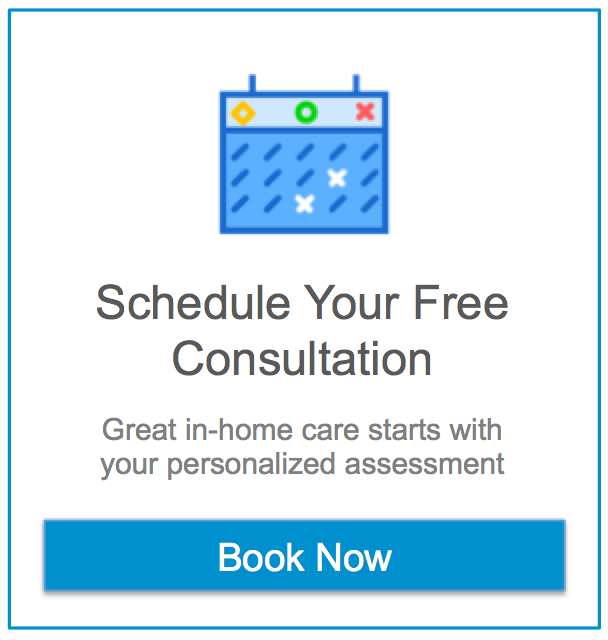 We start our in-home care services by performing an on-site evaluation to determine the safety of the home and the unique care needs of the individual. After we complete our evaluation, we will create a care plan with the client and their family that includes the schedule for our caregivers and accommodations to meet the client’s care needs. If you have a family caregiver that helps out, we will work our care schedule around their schedule. The caregivers that we send to your loved one’s home have been extensively screened to ensure that they can provide quality care and treat our clients with compassion and respect. Care Management: We will help create a care plan and schedule that accommodates the care needs of the client and the schedule of a family caregiver. Personal Care and Grooming: Certain personal activities can become difficult for senior citizens as they get older, making it tough to keep up with personal hygiene. Our caregivers will help seniors with personal care and grooming including bathing and restroom use. Meal Preparation: We will prepare and serve daily meals for your loved ones and clean up afterwards. Errands and Transportation: If your loved ones no longer drive, we will run errands to get groceries and prescriptions, and also provide rides for doctor appointments and other activities. Light Housekeeping: Keeping up with housekeeping chores can be difficult for seniors, especially if they have limited mobility. Our caregivers provide several light housekeeping services including dusting, vacuuming, and laundry. Companionship: Providing good care is important, but providing good companionship may be even more important. Our caregivers will be a good social companion for your loved one, engaging them in conversation and other fun activities. Alzheimer’s and Dementia Care: We can effectively care for senior citizens who suffer from Alzheimer’s or dementia and engage them in certain activities meant to improve memory. Respite Care: Family caregivers devote a lot of their time to caring for their loved ones and need relief to tend to their own personal lives. Our respite care services can provide some much-needed relief for family caregivers. Post-Operative Care: Our caregivers can help seniors and adults who have just had surgery by taking care of light housekeeping and providing medication reminders. Assisting Hands is one of the most trusted home care agencies and our caregivers uphold this reputation by providing excellent home care services for seniors and adults in Des Plaines, IL. All our caregivers are licensed, bonded, and insured and they have undergone extensive background checks to ensure that we hire caregivers who are trustworthy and compassionate. You can call Assisting Hands at (224) 444-6422 to learn more about our home care services. We couldn’t be happier with Assisting Hands in Park Ridge IL. From scheduling the visits to the professionalism provided by the caretakers, I can honestly say that I am very impressed by this company. The caretaker was not only respectful and understanding when it came to my loved one’s needs, but was flexible when I had to change an appointment. Because of that, I highly recommend this company! A sudden and quick change happened in my family. I didn’t know what to do or what to look for when it comes to in home care services. When I met with Senior Care Assisting Hands in Shamburg they explained everything to me without pressuring me to pick them. I really enjoyed how they were very kind and thoughtful. The non-medical assistance my family is receiving from Assisting Hands Schaumburg is very personalized to our specific needs. Everyone who works there is committed to meet your loved ones’ necessity for safe and affordable in home non-medical services.